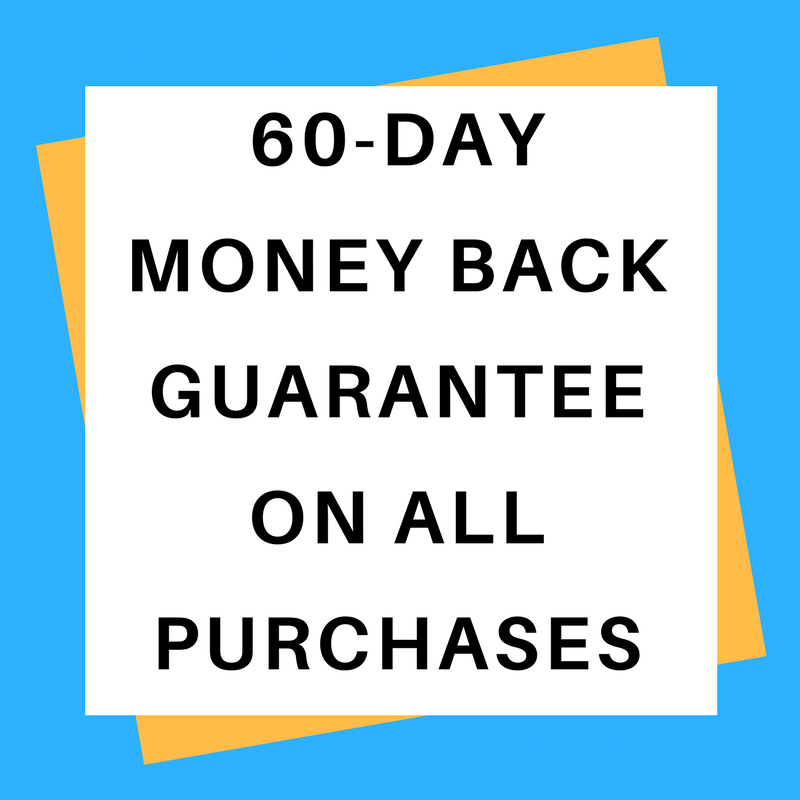 Every purchase you make from MendMeShop.com comes with a 60 day money back guarantee. Use our products for six weeks to experience their many benefits they provide. If after that time you are not happy with the results, simply contact MendMeShop and return your items for a full purchase refund. Healing takes times and effort, and we want to provide you with an adequate amount of time for usage - while still enjoying a money back guarantee. Many companies in this industry only offer 14 to 30 day return periods - we go above and beyond that because we are very confident in the results our products create (based on 12 years of experience). If your MendMeShop device malfunctions, we will replace the component or entire product at no cost to you. 4.) 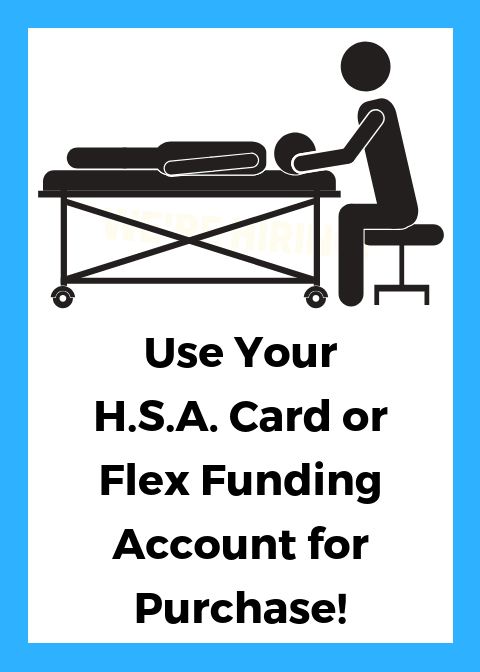 Use your Flex Funding Card or Health Savings Account for Purchase. Hundreds of customers each year successfully use their Flex Funding or Health Savings Account to purchase MendMeShop products. Our devices are recognized home medical treatment options - so coverage is almost guaranteed. 5.) Participate in Special Offers and Free Giveaways. From time to time, we run exclusive offers and promotions for current customers (we even giveaway free products on occasion). 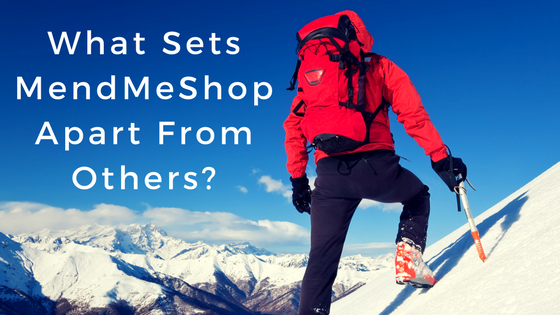 How Can You Benefit From The MendMeShop Products? The MendMeShop T-Shellz devices are designed to help treat your soft tissue injuries at their source, and not merely mask the pain like many other options do. Our T-Shellz Wrap can help treat injuries related to muscles, tendons, ligaments and other soft tissue (including cartilage). We all know that many anti-inflammatory drugs can have serious side effects. Make a strong consideration for treatments that are safer and effective (ones that actually work with the body to enhance healing). 3.) Function throughout the day with less pain. Let’s face it; many of us can not take off a number of days or weeks to rest an injury. The MendMeShop product line has a great track record in not only helping to heal injuries, but also providing relief from pain caused by tightness, stiffness, and soreness in muscles & joints. Enhancing blood flow to damaged tissue helps in the remodeling of scar tissue. Blood flow enhances increases the body's ability to generate new healthy collagen as more oxygen, nutrients, and antibodies will be directed to the injured tissue - and this is needed for the body to heal and rebuild. Excess amounts of scar tissue make one susceptible to re-injury and re-aggravation at the injury site. Soft tissue injuries will hamper your performance in the workplace. You may have the determination to work hard; however, your injured body may not allow you to do so. Our T-Shellz Wraps will not only help to enhance your healing, our Arnica Infusion Pain Cream can help to modulate pain that develops during the workday. Do not let the fear of pain inhibit you from planning or enjoying a vacation. 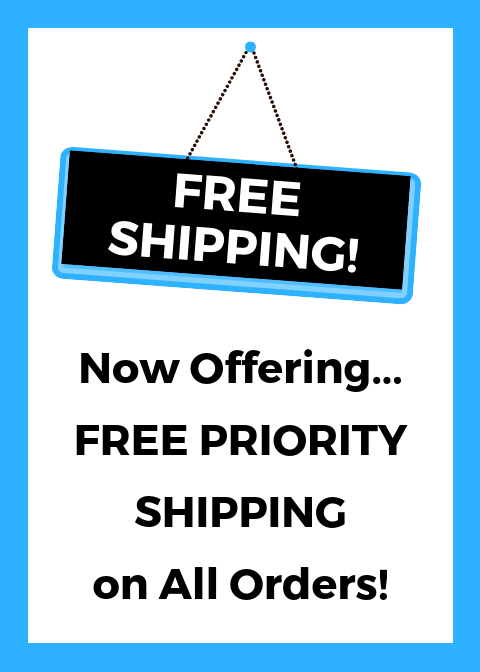 Use the MendMeShop products as recommended before you depart to help heal and lingering muscle or soft tissue ailments. When it is time to go, your pain and discomfort should have subsided and your vacation will be much more enjoyable as a result. Not only that, our products are portable and can be taken with you on vacation for further treatment. Many people who suffer from soft tissue injuries have difficulty sleeping. With our T-Shellz Wrap, we recommend using it before bed to help relax the injured tissues and the surrounding areas as well. Relaxing the issues ensures a much better quality sleep. When you feel better, you have a more positive outlook on life. As we know first hand, when you experience pain you carry around a mental and physical burden every waking hour. It almost seems like the pain takes control of your life. When you experience gradual and sustainable healing, your entire outlook on life can change for the better. Each physical therapy session can cost upwards of $75, and in some regions, that cost can be greater. Assume 8 weeks of therapy, attending twice a week - and you will spend a total of $1,200 during that time frame. In comparison, the products purchased from MendMeShop will cost a fraction of that amount (plus you will own them in the need arises for future usage). It is imperative to treat a soft tissue injury as soon as possible. Once swelling has subsided, apply a deep heat therapy to really kick start the healing process. The enhancement of blood flow results in more nutrients and oxygen reaching the injured tissues and allowing for an earlier recovery. It may not be necessary to take time out of your busy schedule to schedule appointments with various treatment facilities. You can now have the ability to administer treatment when it is most convenient for you - whether at home, at the office, or other locations. Our devices are lightweight and portable - you can take them almost anywhere. The MendMeShop products are used in conjunction with other therapies provided by your doctor or therapist (based on their advice).